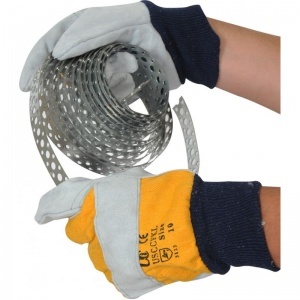 The Cotton Chrome Gloves With Yellow Backing USCCFKL are high quality superior cotton and chrome gloves made from 1 to 1.2mm thick leather with a heavy yellow drill backing and knitted wrist. 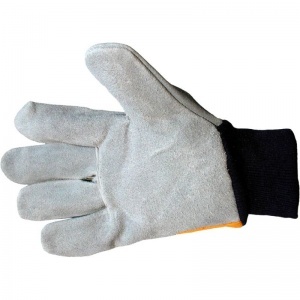 The Cotton Chrome Gloves With Yellow Backing USCCFKL feature a leather wing thumb, first finger, finger tips and knuckle strap for additional protection. 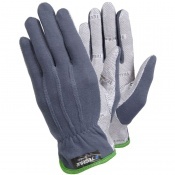 A soft fleece lining to the face of the Cotton Chrome Gloves With Yellow Backing USCCFKL further improves comfort. 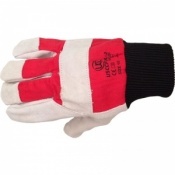 The product code for these gloves are USCCFKL. 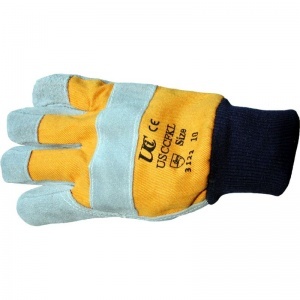 The Cotton Chrome Gloves With Yellow Backing USCCFKL are available in a single "Large" size that should be suitable for the vast majority of users.